Get your full color USA flag and a line of type in this new 2' x 3' polyester banner/flag. 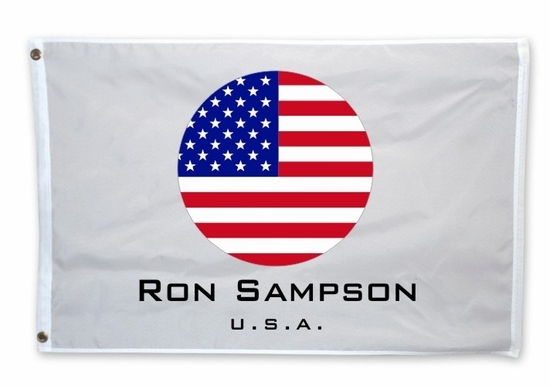 A perfect way to show off your USA flag! Remember� you found the USA Flag at TShirtHub.com, where high quality came at a low price.